Ask your salesperson about the all-wheel-drive system on the 2009 Subaru Legacy; it varies depending on whether it has a manual or automatic transmission. 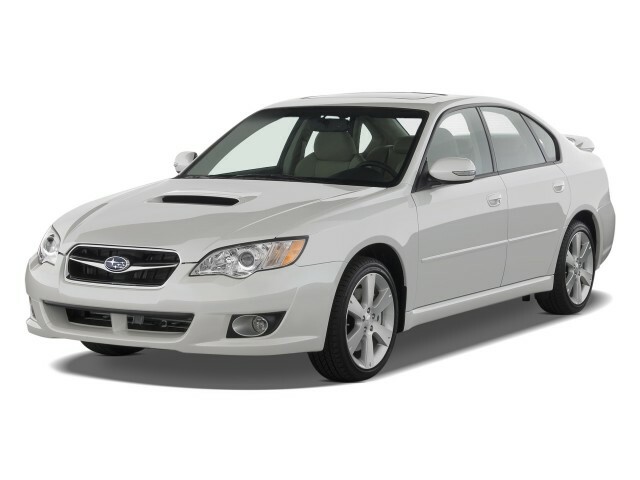 The 2009 Subaru Legacy appeals to rugged, sporty, and practical types, but not those who expect top refinement. TheCarConnection.com's editors drove the new Subaru Legacy in order to give you an expert opinion. TheCarConnection.com's auto experts then researched available road tests on the new Subaru Legacy to produce this conclusive review and to help you find the truth where other reviews might differ. The Subaru Legacy allows both all-weather capability and a sportier character than most other mid-size sedans. For 2009 Subaru boosted its all-wheel-drive Legacy sedan lineup by adding a second six-cylinder model, the new 3.0R, and several other models get increased standard equipment. The 2009 2.5i and 2.5i Limited models pick up a 170-horsepower, 2.5-liter horizontally opposed ("flat") four. Models with the base engine have either a five-speed manual or four-speed automatic transmission. With the base engine, the 2009 Subaru Legacy has adequate power when carrying a light load, but if you plan on hauling a lot of stuff or driving in the mountains, the engine can feel taxed. It's made worse by the four-speed automatic, which can shift abruptly and has rather widely spaced gears. The 2.5 GT Limited and Spec.B models upgrade to a high-performance turbocharged 2.5-liter flat-four making 243 horsepower. Turbo models have either a six-speed manual or five-speed automatic, which comes with Sportshift paddle shifters and a rev-matching downshift throttle-blipping feature for performance driving. The turbocharged engine in the GT Limited and Spec.B is the most responsive, with none of the turbo lag that sometimes plagues turbos, but the six is the smoothest and most refined. At the top there's a 245-horsepower, 3.0-liter flat-six powering the 3.0 R Limited. The six-cylinder engine comes with just the five-speed automatic. 2009 Subaru Legacy models with the turbocharged four or the six-cylinder engine get SI-DRIVE, a system that has three different modes that allow throttle response, transmission shift, and other characteristics to change from smooth to sharp as desired. Handling is especially sharp in GT Spec.B models, though not at the expense of comfort. The 2009 Subaru Legacy Spec.B model brings additional performance hardware to bring better handling and get the most out of the turbo engine's additional power. The functional extras include a Bilstein sport suspension, larger brakes, summer performance tires, a heavy-duty gearbox, four-pinion front differential, and rear Torsen limited-slip differential; these are joined by other extras, including a moonroof, fog lamps, heated mirrors, heated seats, dual-zone climate control, a navigation system, and many appearance enhancements. 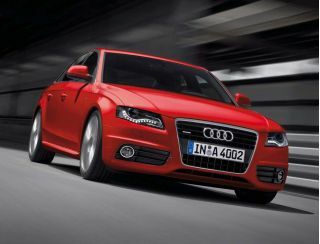 Top 3.0R models see many of these same improvements, plus the flat-six engine. Even in one of the less expensive models, the 2009 Subaru Legacy handles very well on the road, with crisp, rather communicative steering and not much body lean. Ride comfort is quite good as well, but road noise can be an issue inside on coarse road surfaces. Seating in the Legacy is comfortable in front, though front-seat occupants might find headroom tight. Overall, the interior is rather basic but attractive with matte-metallic materials and mid-grade plastics; there are no overt luxury pretenses here, except in the top 2009 Subaru Legacy models, which pile on the convenience features and upgrades. Anti-lock brakes, front-seat side airbags, and active front head restraints are all included. Electronic stability control isn't available on much of the line, but it's included in the GT Spec.B and 3.0R. The 2009 Subaru Legacy is one of the safest sedans of any size or price; it receives top five-star results from the federal government in both frontal and side-impact tests, as well as straight "good" ratings (the best possible) from the IIHS for frontal, side, and rear impact. Some of the latest expected tech features, such as a Bluetooth interface, an iPod interface, and live traffic updates aren't available on the Legacy. The 2009 Subaru Legacy features a smooth exterior and a rich-looking interior. Edmunds says the interior style is “competitive with more expensive European marques.” According to Autoblog, the Subaru interior "has a redesigned instrument panel and revised interior fabrics.” The "decidedly sporty three-spoke steering wheel, metallic trim and crisp, contemporary styling" impresses 2009 Subaru reviewers at Kelley Blue Book. At Motor Trend, the artificial "wood trim that wraps around the lower dashboard and center console is the only letdown" when it comes to this Subaru 2009's interior. They "would have much preferred brushed aluminum to the fake, plasticky-looking rosewood," but add that the 2009 Subaru Legacy's "gorgeous black-faced gauges with white numbering and red needles make it easy to forgive the other minor shortcomings." Many different powertrain combinations—each with all-wheel drive—allow the 2009 Subaru Legacy to cover everything from basic all-weather sedan to high-performance tourer. The 2009 Subaru Legacy can be equipped with three different engines and a choice of manual or automatic shift on all but the top six-cylinder models; the three engines span a significant range from frugality to edgy performance or more refinement. According to Car and Driver, the 2009 Subaru Legacy 2.5GT Limited and 2.5GT spec.B "both add an intercooled turbocharger to the engine." On these upgraded models, however, ConsumerGuide remarks "throttle response is dulled by annoying turbo lag." Nonetheless, Edmunds insists that while the 2.5-liter engine "provides adequate power...the Legacy GT Limited (with its turbocharged engine) is truly a fun car to drive hard." 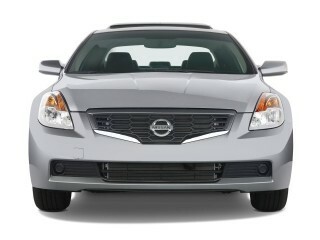 Cars.com reports that "standard Legacys use a 175-horsepower, 2.5-liter horizontally opposed four-cylinder engine." With the base engine, the 2009 Subaru Legacy has adequate power when carrying a light load, but if you plan on hauling a lot of stuff or driving in the mountains, the engine can feel taxed. The turbocharged engine in the GT Limited and Spec.B is the most responsive, with none of the turbo lag that sometimes plagues turbos, but the six is the smoothest and most refined. At the top of the 2009 Subaru Legacy lineup, the six-cylinder engine comes just with the five-speed automatic. Stating just the facts, Cars.com reports that the Subaru 2009 engine "teams with a four-speed automatic or five-speed manual transmission." ConsumerGuide testers "find the manual transmission to have imprecise, overly long shift action" on base cars, and Edmunds notes that the "one glaring bit of criticism has been the GT Limited's automatic transmission, which seems to be ill-suited for the vehicle's turbocharged engine." 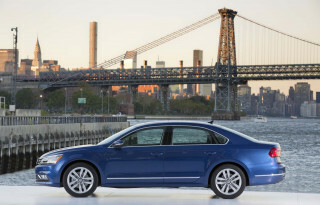 All-wheel drive is standard on all Legacy models. Models with the base engine have either a five-speed manual or four-speed automatic transmission, while turbo models have either a six-speed manual or five-speed automatic, which comes with Sportshift paddle shifters and a rev-matching downshift throttle-blipping feature for performance driving. Edmunds editors “found the Subaru Legacy to be both sporty and comfortable—a challenging combination for manufacturers to master.” ConsumerGuide declares "handling is composed, with little body lean in fast corners," while "brakes feel strong on all” editions of the Legacy. Motor Trend observes "ride quality is a Legacy strong point." Autoblog notes that "Bilstein Sport Suspension equips the Legacy 3.0 R Limited with performance-tuned shock absorbers for improved cornering." Even in one of the less expensive models, the 2009 Subaru Legacy handles very well on the road, with crisp, rather communicative steering and not much body lean; ride comfort is quite good as well. Responses are especially sharp in GT Spec.B models, though not at the expense of comfort. 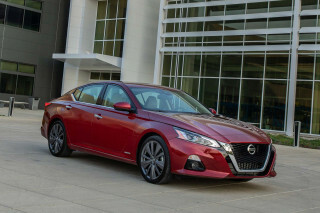 According to the EPA, the Legacy gets 20/27 mpg in base versions with either transmission, 19/24 mpg with the GT; Spec.B editions hit 19/24 mpg in manual and 18/24 mpg in automatic form. This particular model "averaged 20.1 mpg in mostly highway driving," according to ConsumerGuide, which does not differ greatly from other mileage estimates. The six-cylinder 3.0 R checks in at 17/24 mpg with either transmission. The 2009 Subaru Legacy leans toward the compact end of the mid-size spectrum, though its materials are first rate. The 2009 Subaru Legacy is a bit smaller inside than many mid-sizers, but its cabin is well-fitted. Edmunds says “the backseat is a lowlight, however—while it's comfortable enough for two average-sized passengers, leg- and shoulder-room are unusually tight compared with other midsize sedans.” On the other hand, Kelley Blue Book contends "most backseat passengers should find the Legacy plenty accommodating for trips across town and beyond." The Washington Post reports "seating for five people" aboard the Legacy, and ConsumerGuide points out "plenty of legroom, but headroom is tight for taller riders"—an impression confirmed at Motor Trend, which weighs in with "poor rear-seat headroom." 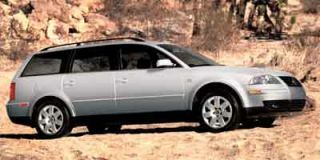 ConsumerGuide acknowledges that 2009 Subaru Legacy "sedans have a wide trunk opening and low liftover. The hinges are shrouded to avoid cargo damage, but they take up some space. Standard 60/40 split rear seatbacks fold almost flat." Edmunds confirms this: “The Legacy's trunk is similarly undersized at 11.4 cubic feet, though a ski pass-through and fold-down rear seats help make the most of the car's hauling capacity.” The Washington Post reports that 2009 Subaru "luggage capacity is a smallish (for a midsize sedan) 11.4 cubic feet." ConsumerGuide says "assembly quality has been good on models tested," but "despite a revamped interior, materials are nothing special." However, Edmunds proclaims Subaru 2009 interior materials are "excellent, and style, fit and finish are competitive with more expensive European marques." Cars.com notes that most Subaru 2009 updates "are related to new equipment...the steering wheel has 16 buttons—a tricky layout where a wrong move could inadvertently remap the accelerator's response or downshift the transmission." ConsumerGuide reports "the turbocharged engine is subdued and refined," though "some testers complain of body drumming over broken pavement," and "a fair amount of wind and tire noise filters into the cabin at highway speeds." Top safety scores and good safety equipment bring the 2009 Subaru Legacy high marks. Very few vehicles rate as high in overall safety as the 2009 Subaru Legacy. The National Highway Traffic Safety Administration (NHTSA) awards the Subaru 2009 Legacy five out five stars for front impact protection. Autoblog reports this 2009 Subaru has "garnered the highest award from the Insurance Institute for Highway Safety (IIHS)—'Top Safety Pick'—in the midsize car segment." 2009 Subaru trims with automatic transmission come with "an electronic stability system" as well. This includes the Subaru 2009 3.0 R Limited and 2.5 GT Limited. Car and Driver states that "four-wheel-disc antilock brakes, side-impact airbags and side curtain airbags are standard" on every 2009 Subaru Legacy. According to ConsumerGuide, "visibility is good in all directions" on the Subaru 2009 test vehicle. 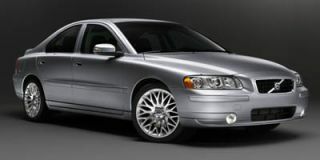 TheCarConnection.com notes that the Legacy’s excellent handling places this sedan above many others in crash avoidance as well. Subaru has been fairly stingy with features in the 2009 Subaru Legacy, though the options list allows more. The 2009 Subaru Legacy isn’t especially plush. Even in the $30,000 versions, the latest high-tech features are absent. Cars.com reports that all Subaru 2009 Legacy models "include staples like power windows and door locks, remote keyless entry and a CD stereo," so even the base trim 2009 Subaru Legacy has something to offer in this regard. Edmunds says this 2009 Subaru "base car is a bit of a stripper." Some of the latest expected tech features, such as a Bluetooth interface, an iPod interface, and live traffic updates, aren't available on the Legacy. For 2009, all Legacys except the base 2.5i receive a new 385-watt Harman Kardon audio system with an eight-channel amplifier/equalizer, digital signal processing, and speed-sensitive automatic volume control. Kelley Blue Book reports that "notable optional equipment" on this Subaru 2009 includes "DVD touch-screen navigation system, in-dash six-CD changer, power glass moonroof, leather seating, power driver's seat, heated front seats, dual-zone automatic climate control, fog lights, heated side mirrors, wiper de-icer, leather-wrapped steering wheel and shifter, wood-look trim and front sport seats." Edmunds advises that "other trims are well-equipped and can make the Legacy as luxurious and comfortable as some midsize cars wearing luxury badges." My first Subaru, not my last.